Please note that pets are welcome on request. 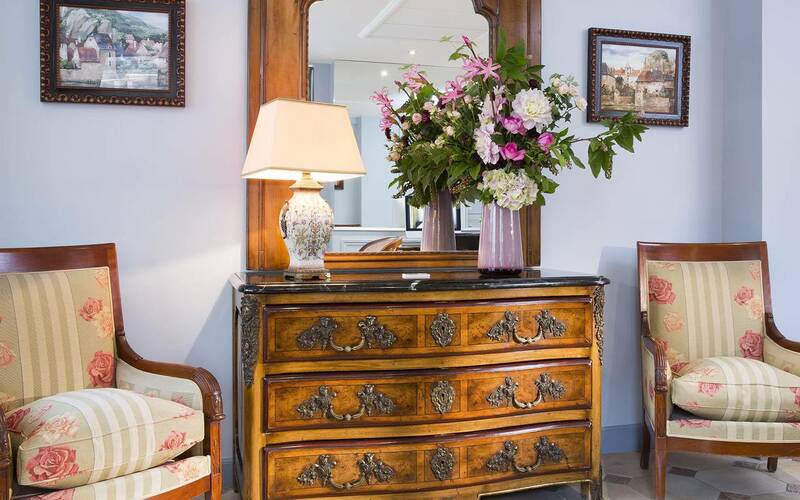 Do not hesitate to book your stay at Relais Madeleine by clicking here. 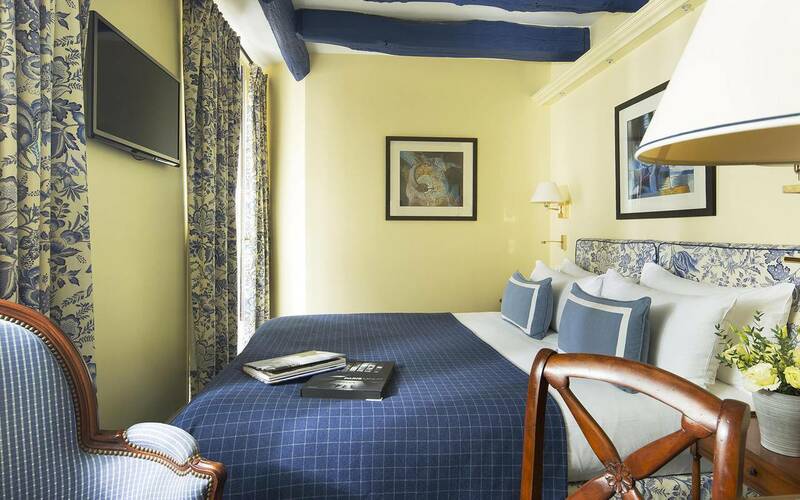 Come and stay in the perfect rooms of Relais Madeleine. 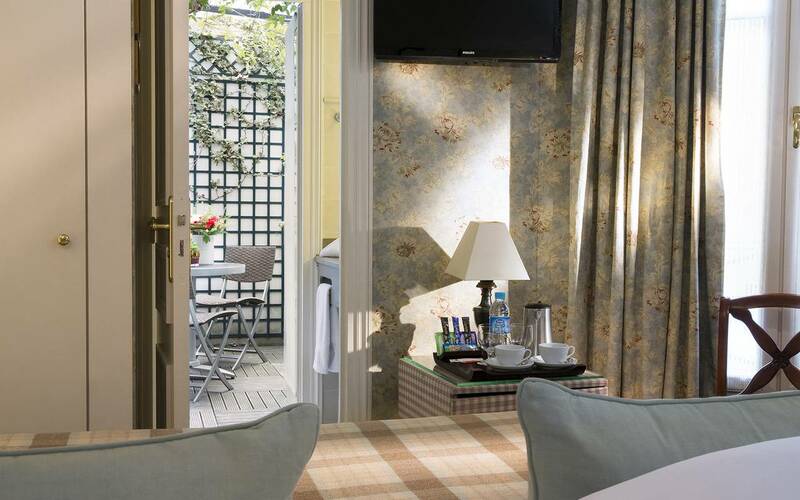 Choose between one of our 23 rooms for your next trip to the Parisian capital. We offer you 4 categories of different rooms : Single room, comfort room, superior room and deluxe suite. You will find all the equipment you will need in a luxury hotel room like a safe, a mini bar, a telephone, a flat screen TV and more. 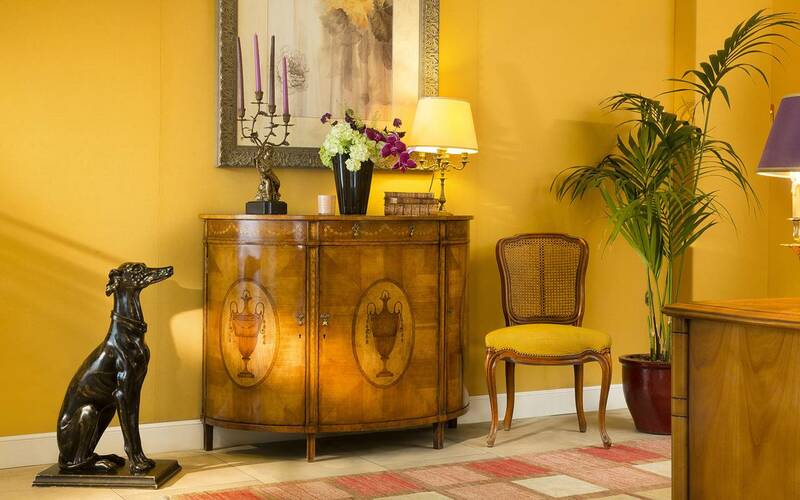 The refined decoration of these relaxing spaces will make you feel very comfortable. In addition to your pleasant room, you will enjoy a moment in the sauna or on the private terrace of the hotel. 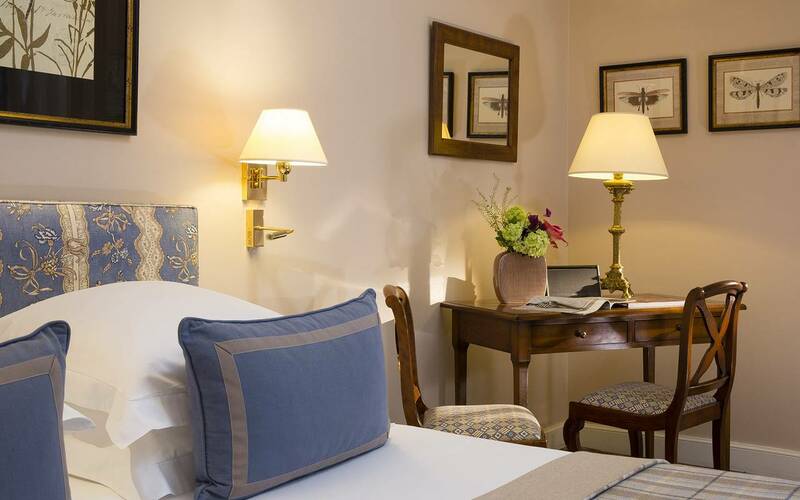 Enjoy a cosy ambience in our hotel Paris 9. The streets of the city-center of Paris are full of incredible and amazing charms, that will create unforgettable Parisian walks. Discover some activities that you can do during your next trip to Paris from our Relais Madeleine hotel. If you come to Paris for a few days to see a concert, our hotel will be the ideal place because it is not far from the Olympia. The Opera Garnier is Also near to our 4-star hotel. The famous place Vendome and its wonderful shops, is located close to the Relais Madeleine for moments of luxury shopping. You will not miss to taste the unmissable French gastronomy in the gourmet restaurants of the district.